Marvel’s latest assassin. Not only does he have his own series, but he recently appeared in a crossover with Spiderman and Deadpool. EPIC!!!! Can someone with photoshop skillz remove spiderman? Thanks. Do you still want the same background? just add a 60% transparency glare after you manage to patch together. Nah dag, I wasn’t even gonna use the patch tool. Just lens flare. 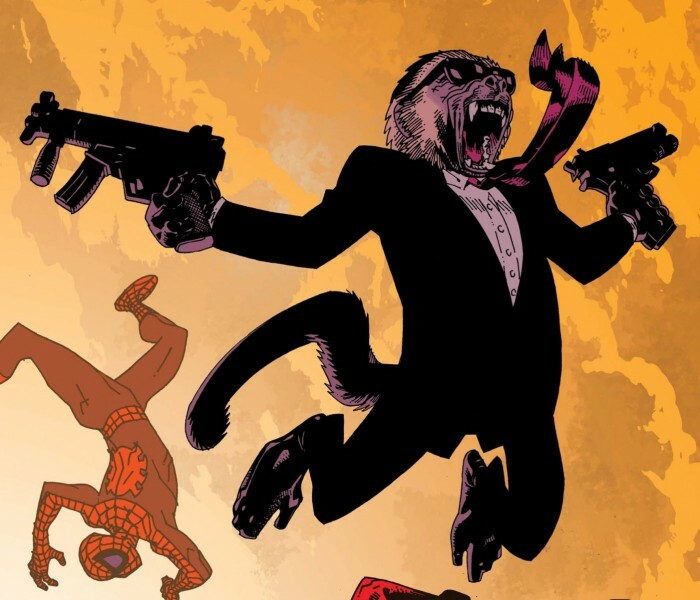 As is usual when real life characters become fictionalized – the joy Hitman Monkey finds in his job seems to have increased exponentially. Not only is this months old, but financially it was a failure. Project is currently on hold. I work for Diamond so stfu. And that aquaman comic is hilarious, thank you. half step above Twlightfan1234 and just below Bieberlovesme1. At least you’re not casemods. You’re really are a twit aren’t you? I know what Aquaman is and what he isn’t. I like him ’cause it’s funny, you knuckle dragging throat baby. And yes, at least neither of us is casemods.